Are you an aspiring author? Are you an author who’s decided to take a less traditional publishing path? The library has truly fantastic resources for writers at all stages of content creation. Let’s check them out! 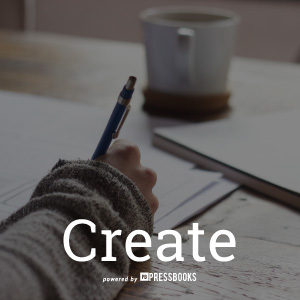 CREATE your ebook with Pressbooks! Pressbooks is an ebook design and formatting platform, so if your manuscript is already complete, all you have to do is copy and paste the text and it should identify all your chapter headings for you. If you’re not quite finished, you can even write your book right there in the program. Pressbooks makes sure that your book will be properly formatted and coded to be available to ebook readers everywhere, and they even have a cover design template you can use, with stock images and cover designs to choose from. It’s fully customizable, and your books will be ready to go just like that! SHARE your ebooks with Self-e, the Library Journal’s platform for ebook submission! Ebooks submitted to Self-e go straight into a local collection of works by Louisiana authors. You retain all the rights, and if you’re selling your works on another platform, you can include a link to the sales page. Library Journal reviews all submissions, and some even get chosen as “Select” titles, included in Biblioboard collections all over the US and even Canada! 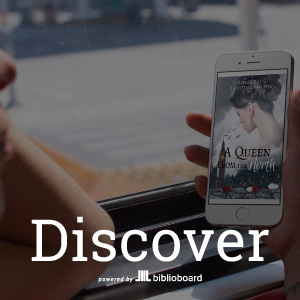 If you submit through Self-e, people can DISCOVER your books on Biblioboard! Biblioboard is always available, with no holds and no waiting on any titles, EVER. Share your books on social media with friends, family, and the rest of the world, and watch your audience grow! The library is thrilled to support local indie authors – get started on creating and sharing your works today, and watch while you get discovered by all of Louisiana!